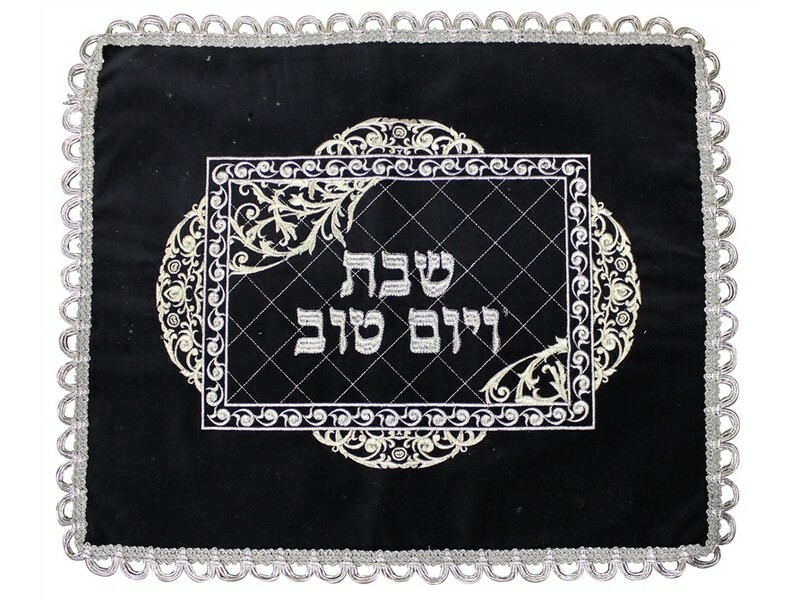 Made of elegant navy buy velvet, this challah cover has a classy style frame with elegant baroque designs arranged in half circles on all four outer sides. The inside of the frame is decorated with diagonal stitching in each direction, creating a diamond shaped background. The Hebrew words “Shabbat v’Yom Tov”, “Shabbat and Yom Tov”, is embroidered in the center of the frame.